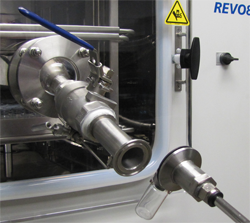 The SPIDER is a new generation sample extractor that simplifies the sample extraction process, while increasing the reliability and performance. The Millrock Spider offers the smallest profile of any sample extractor on the market today. 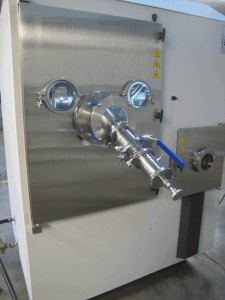 When mounted on a full view acrylic door, it provides maximum visibility throughout the product chamber. The Spider comes with 2 removable grippers for vials sized from 2ml to 20ml. The Spider comes standard with a removable extraction rod that can be stored when not in use. This provides additional room as well as safety. Without the extraction rod, the remainder of the extractor extends only 10” from the door. 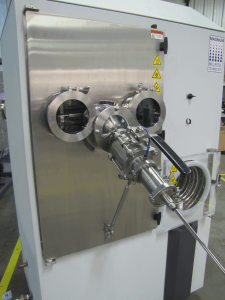 The Sample Extractor design does not require an additional vacuum pump. The Millrock sample extractor provides a simple, elegant design with minimal sealing surfaces to help eliminate leaks. For use with vials up to 100 ml, Millrock offers the Spider L or XL. Please contact Millrock Technology, Inc. today to learn more.